Article documenting a pivotal moment in the starting of the war in Syria. 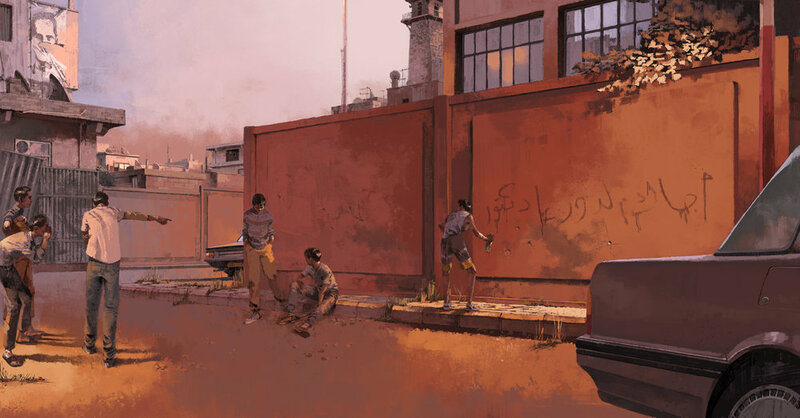 Mark MacKinnon has met Naief Abazid, whose graffiti written on his school in Daara, Syria, intended as a teenage rebellion eventually sparked the war in Syria. I was asked to illustrate the opening double page spread for the article.